Large water features, such as a marble outdoor fountain or a multi-story waterfall, certainly make a grand statement. In addition to their impressive appearance, they also emphasize the largeness of the space. These qualities make them an ideal piece for a courtyard, formal garden, or ballroom — places that are made for impressing and entertaining a large number of people. 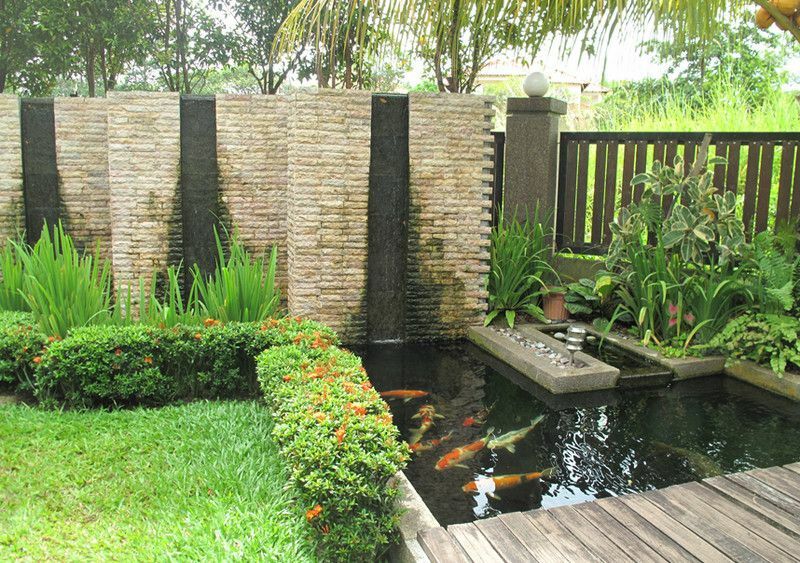 A property with limited space will benefit best from a medium to small water feature, depending on the part of the house or garden where it will be placed. Wall fountains and table top fountains don’t occupy a lot of space, plus they’re usually more affordable and easier to maintain and install. After deciding on the size, the next thing you should think about is the style of the water fountain and the material it should be made of. These details largely depend on the existing theme of your home or the look you want to achieve. If you have a naturalistic garden and want to preserve its look, you can add a fountain that’s made of cast stone, or a pond. Tiered fountains, on the other hand, typically serve as a focal point in formal and renaissance gardens. 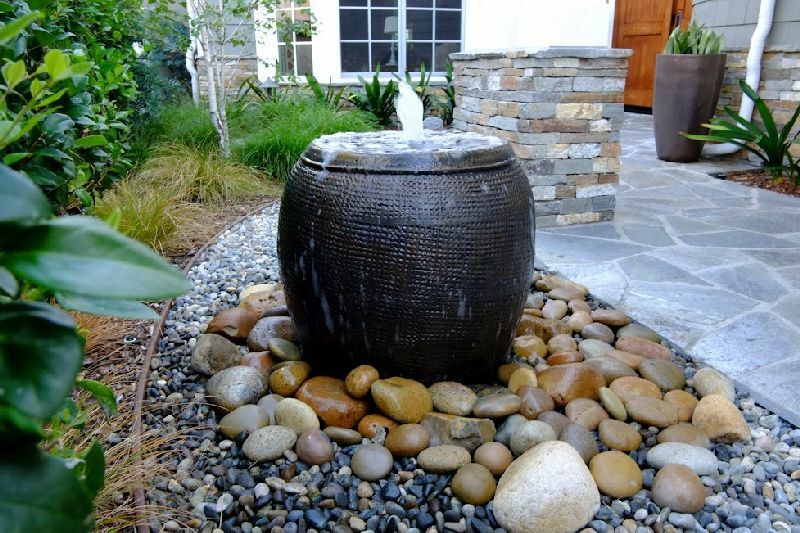 If you want something subdued, then you can always choose to go with hidden fountains or disappearing fountains. A fountain that can shoot up water in the air is a sight to behold, plus it also has powerful sound to back it up. However, a strong water flow means that the fountain will have a larger splash radius, which is understandable for large water features but a hazard for smaller fountains. Small fountains with a large splash radius can trigger mold growth and rot, as well as cause slipping. It’s better to set the water flow in these to a slow bubble or a steady stream. The weather is the biggest threat to outdoor water features because it causes deterioration. To extend its life, the fountain should be made of a durable material that can withstand the elements. Bronze is a material that’s pretty resistant to regular wear and tear, but it requires regular maintenance to keep oxidation in check. Marble boasts a classic look and it does well in warm climates because it’s resistant to heat. Concrete is an affordable choice, but it’s prone to chipping. Granite is a good option for places in cold areas. This rock has less pores where water can accumulate, making it less likely to crack when exposed to freezing temperatures. The material of the fountain can also make winterization a chore or a breeze. Light materials such as cast stone and fiberglass are easy to move and store for the cold season. Heavy fountains, such as those made of metal are often immovable, so they should be completely drained and covered before winter. It’s important to prioritize safety when choosing or designing a water fountain, especially if the place where it will be installed is accessible to or frequented by children. Go with a sturdy fountain that kids can’t topple over, and install a gate or rail around the area, too. Try to make sure that there’s always an adult around to make sure that the kids won’t get in the fountain or slip when they’re playing around it. 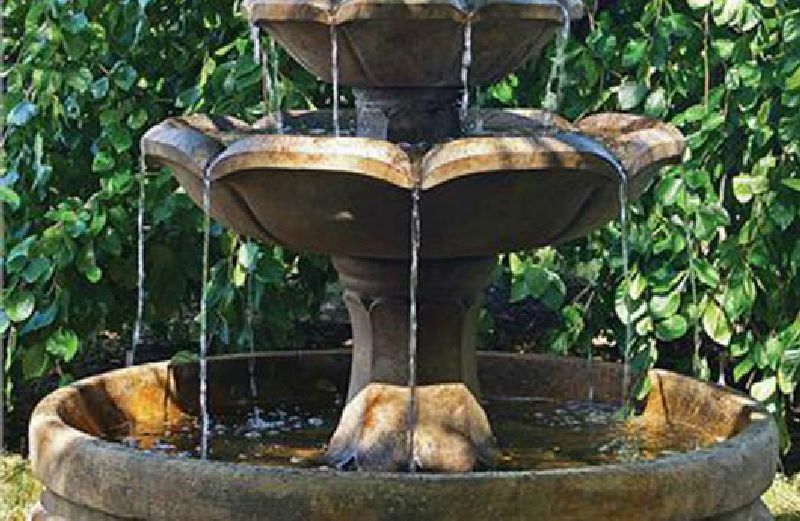 Keep these 5 items in mind when shopping for a fountain and you’re sure to have a much easier time finding a model that will suit your taste and the theme of your property.